Dark orange petals rimmed in gold. Queen Sophia, with its 2 1/2-3″ blooms, continues to be a favorite around the world. Attracts beneficial insects such as hoverflies. Queen Sophia, with its 2 1/2-3″ blooms, continues to be a favorite around the world. Attracts beneficial insects such as hoverflies. 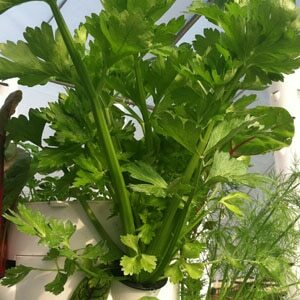 Leaves of the plant are edible and are used as flavorful salad greens and garnish. Also known as French marigold. AAS winner. •Edible Flowers: Use the flowers to dress up salads and desserts or cooked in egg or rice dishes. Flavor is floral with hints of citrus and spice, and slightly bitter. Remove the petals from the flower base before consuming as the base can be quite bitter. 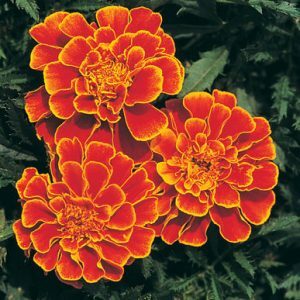 Deadhead regularly to increase blooms. Pinch to make the plants bushier.